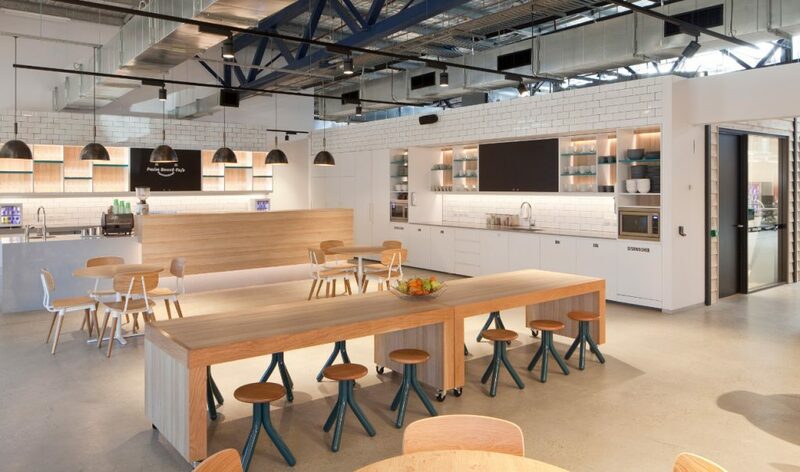 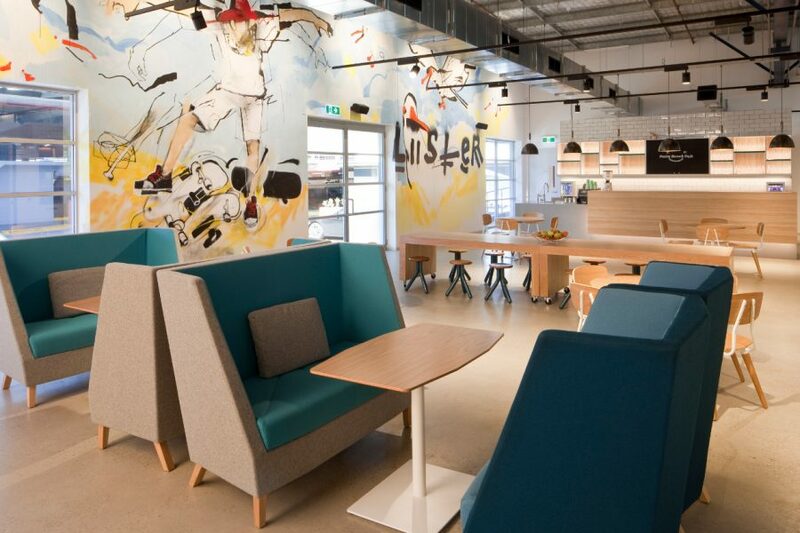 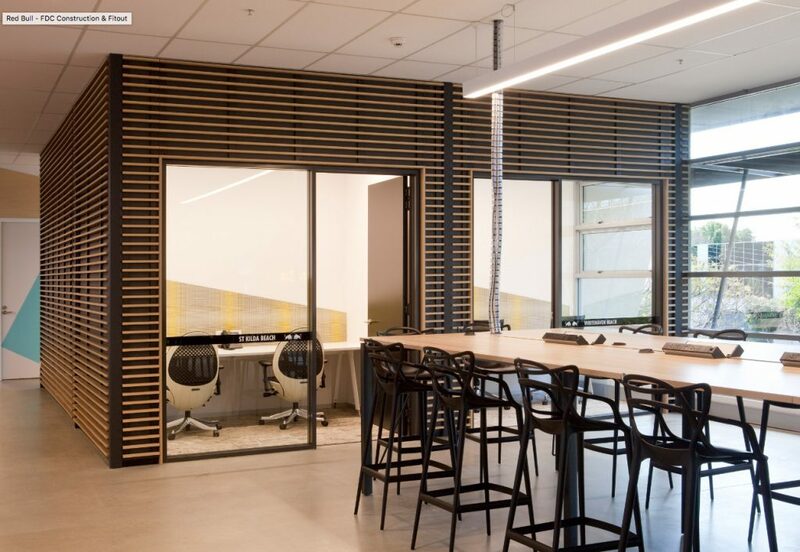 Infracraft has completed the joinery fitout of Red Bull’s corporate office at 55 Doody Street, Alexandria. 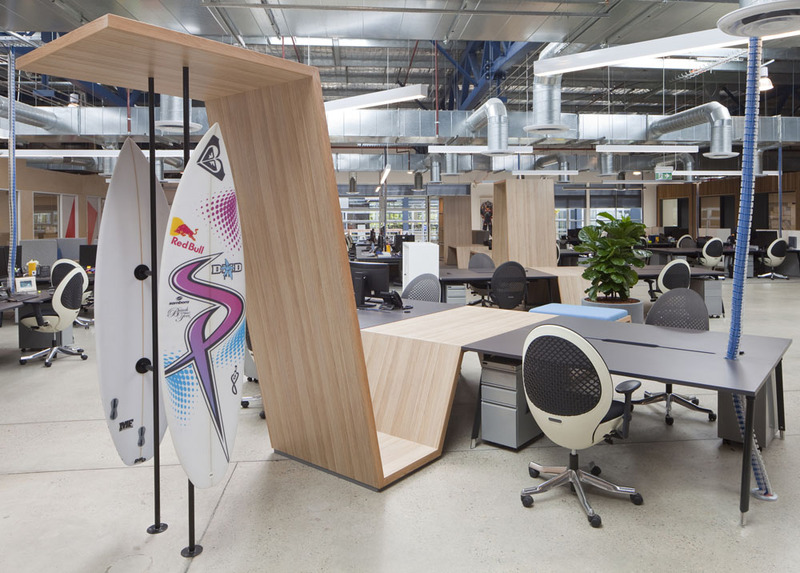 Red Bull is an energy drink sold by Austrian company Red Bull GmbH, created in 1987. 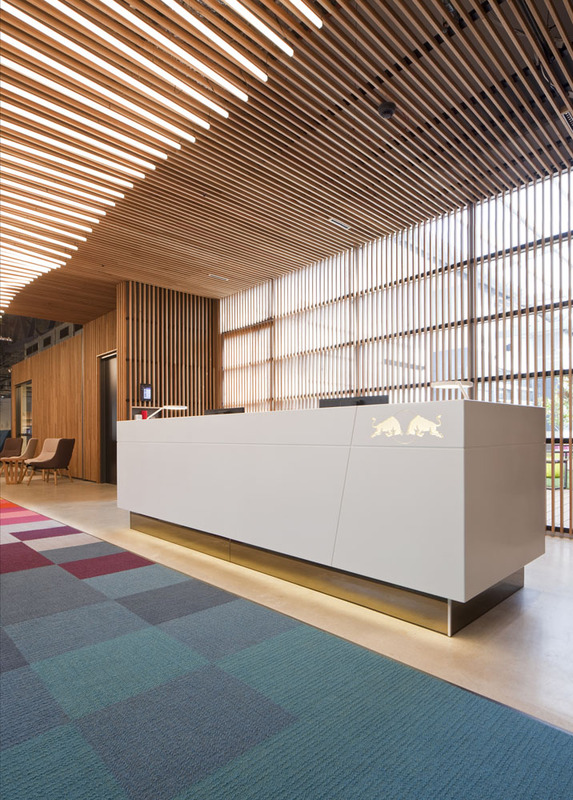 In terms of market share, Red Bull is the highest-selling energy drink in the world, with 5.387 billion cans sold in 2013. 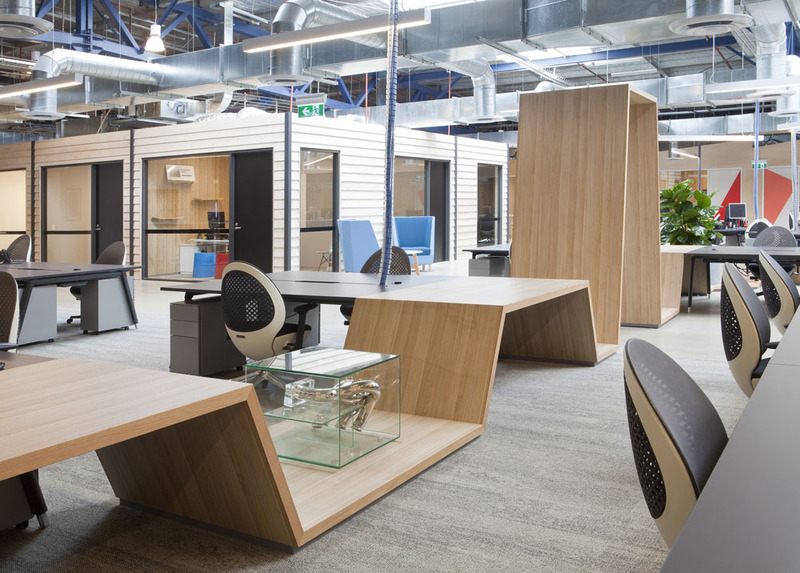 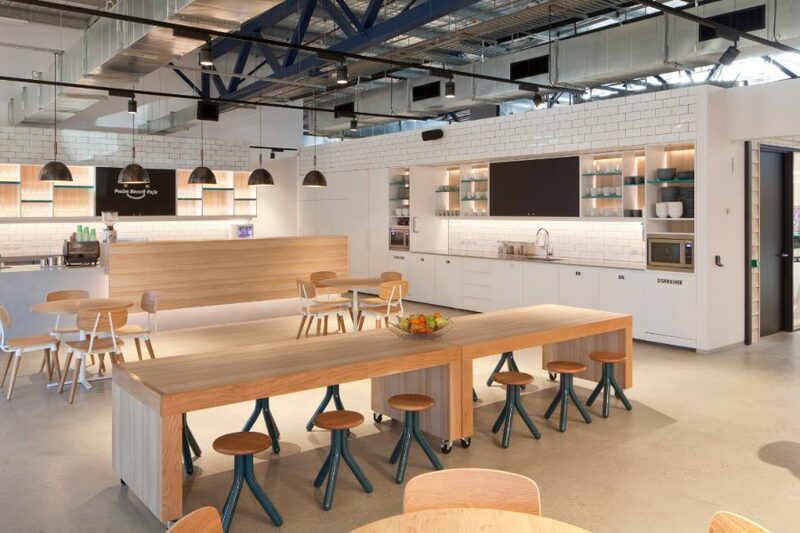 The 2,500sqm twelve week project incorporated a full warehouse style office fitout within an empty building using engineered structural steel ‘pods’. 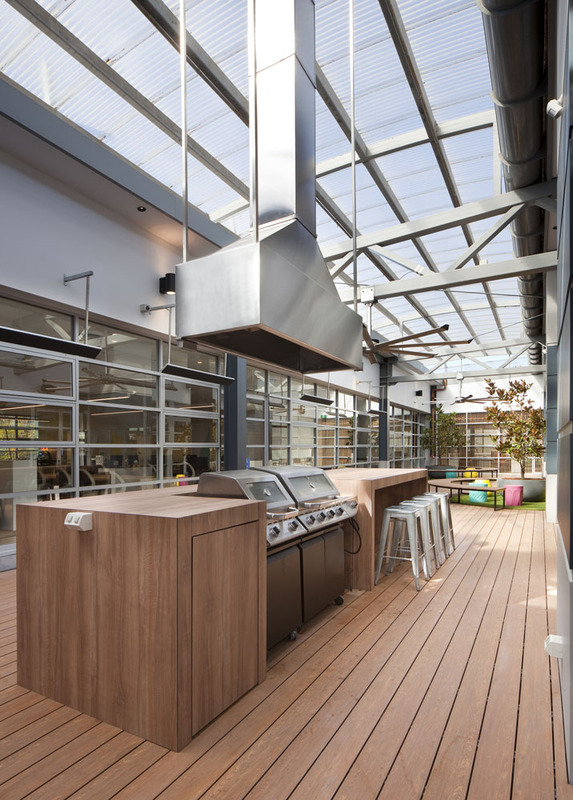 The covered external BBQ area in the center of the office space acts as a hub for meeting rooms and offices constructed with beachhouse style facades utilising rope screens and recycled timbers. 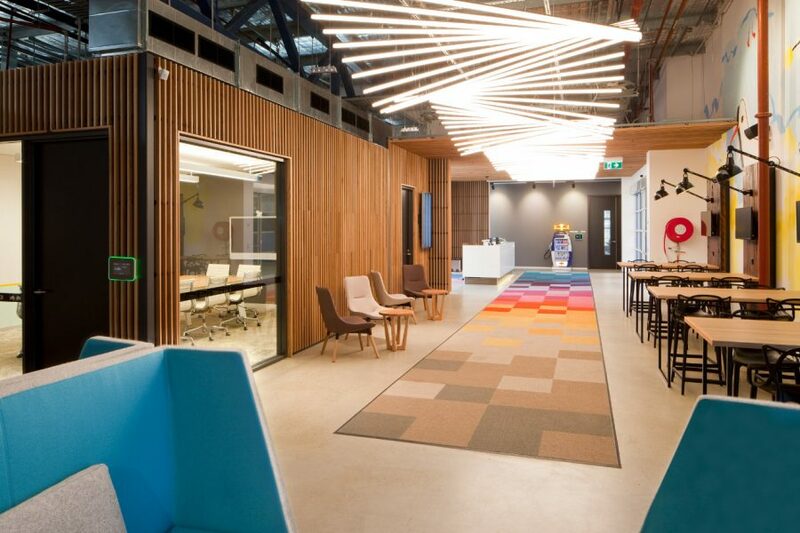 An entry foyer lined with solid timber batten walls and ceiling hosts a stylish Corian reception area.